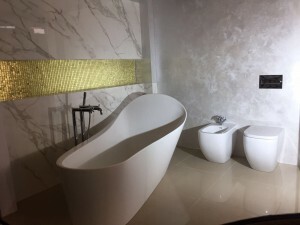 If you want an extravagant looking wall that looks like marble but doesn’t do as much damage to your wallet, then you need to think about having Venetian plastering Manchester. Favoured by luxury homes, casinos, and restaurants, Venetian plastering is open for all to enjoy. When you have a wall covered with Venetian plastering it looks less like a wall and more like a work of art that everyone is sure to love. The term “Venetian plastering” refers to the product itself and the technique used to take a wall and make it look classically appealing. The idea of this plastering method dates all the way back ancient Egypt. It was improved by the Romans before being perfected by the Venetians, who gave it the name. A wall that has been plastered Venetian style has dents that keep it safe from scratches. On top of this it’s breathable and water-resistant, so there’s no need to worry about it peeling. 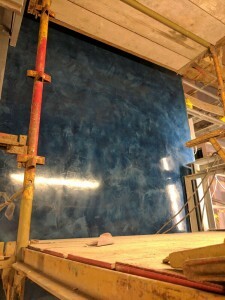 One of the best things about Venetian plastering is that it can be applied to just about any surface – whether you have wood, bricks, concrete, stone, or are just looking to paint over an already painted wall. We can take care of it all. The waxed surface of the plaster keeps it safe from stains, spills, and prints, making it easy to keep clean. Venetian plastering is odourless, unlike fresh paint or the “old house smell” you get after a few years. This is because the plaster allows air to flow through it, which means it stays dry inside. Mould and mildew thrive in a moist environment, which means they have no chance of surviving in dry plaster. It’s thanks to these characteristics and more that Venetian plastering is so versatile and can be applied anywhere. You could have it applied to your living room, kitchen, bedroom, bathroom, and even on the exterior walls of your house if you want. You could likely find many articles and workshops that say they can teach you how to do this form of plastering, but this is only good if you want a wall. For a truly great wall that looks like a piece of art you need a real professional who understands and applies proper technique. There are three main techniques to Ventian plastering; marmorino, scagliola, and sgraffito. All three take years of experience, intensive training, and a keen eye to pull off. The truth is that not every painter has the experience and skills to work with Venetian plastering because it can’t be compared to regular paint. That is why you need to call in the experts to take care of the job for you. Count on KP Ceilings to give your home the Venetian plastering Manchester treatment it needs to truly come alive. All of our experts are highly trained to never take shortcuts. We do everything we need to do to prepare and plaster your wall properly. We make use of all the best materials, equipment, and tools there are to provide you with the very best in Venetian Plastering. 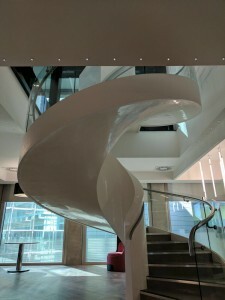 You’ll be amazed by what we can do to your walls so get in touch today!